Houd je PC up-to-date en veilig! 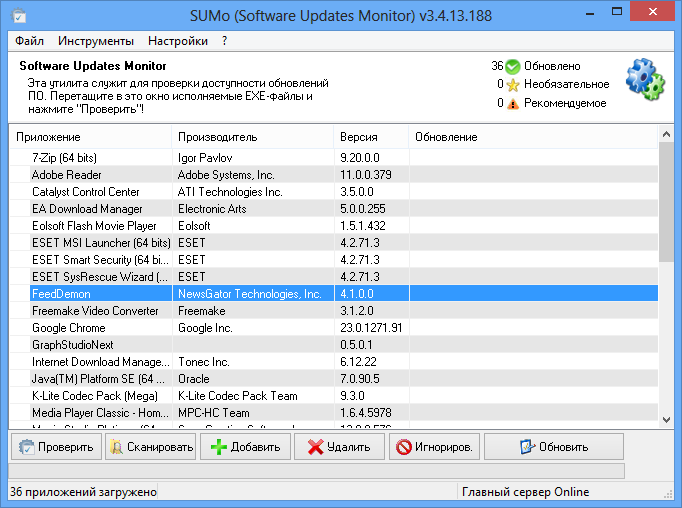 Houd je PC up-to-date en veilig met de meest recente versies van je favoriete software - SUMo (Software Update Monitor)! Anders dan de ingebouwde auto update functies, informeert SUMo je over beschikbare updates voordat je de software gaat gebruiken. 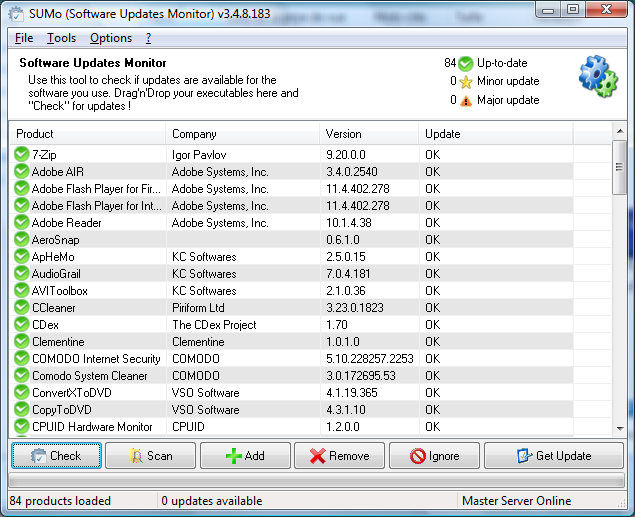 Betere compatibiliteit en minder false positives dan andere Update Monitors (volgens de feedback van gebruikers). Ik heb het ook in Win10-64 geïnstalleerd en daar lijkt het niet te werken. De installatie verloopt prima, registratie ook. Het scannen lijkt ook goed te gaan en de meldingen over updates. Echter na de selectie van een update komt er geen actie bij een klik op updaten. Geen site, geen actie etc. Programma is hier een paar keer langsgekomen. Ik zie niet echt een goede reden om software via dit programma te updaten. Niet altijd is een "update" zinnig, bijv bij geinstalleerde gotd´s (vaak verlies van de volledige versie), bij bepaalde software juist weer wel bijv. i.v.m. beveiligingslekken. Als verminderen van beveiligingsrisico´s een belangrijke reden voor updaten is kun je ook Heimdal Free gebruiken dat daar speciaal voor bedoeld is (nadeel kan installatie van Framework 4.6.1 zijn). P.S. instellingen m.b.t. beveiliging zijn ook belangrijk, als je dit wilt testen kijk dan eens naar Belarc advisor. Na installatie krijg je o.m. een Security Benchmark score waar je precies kunt zien hoe veilig je systeem is, en waar het aan mankeert. Programma is hier een paar keer langsgekomen. Ik zie niet echt een goede reden om software via dit programma te updaten. Niet altijd is een "update" zinnig, bijv bij geinstalleerde gotd´s (vaak verlies van de volledige versie), bij bepaalde software juist weer wel bijv. i.v.m. beveiligingslekken. Als verminderen van beveiligingsrisico´s een belangrijke reden voor updaten is kun je ook Heimdal Free gebruiken dat daar speciaal voor bedoeld is (nadeel kan installatie van Framework 4.6.1 zijn). P.S. instellingen m.b.t. beveiliging zijn ook belangrijk, als je dit wilt testen kijk dan eens naar Belarc advisor. Na installatie krijg je o.m. een Security Benchmark score waar je precies kunt zien hoe veilig je systeem is, en waar het aan mankeert. Bij de registratie moet u de voorgeschreven naam invoeren, anders werkt het niet. Die naam bevat vijf hoofdletters. De gebruiksduur is dus hoogstwaarschijnlijk vijf kwartalen. We zullen zien. Want mijn tweede bewering is natuurlijk helemaal niet onderbouwd. De eerste wel, want dat heb ik getest. I personally don't think that "up-to-date" is always a good practice. so I seldom update, or I check very carefully what's "new" before I do. By this, my system doesn't have strange things happening, and I don't constantly in search for solution to problems. I personally don't think that "up-to-date" is always a good practice. so I seldom update, or I check very carefully what's "new" before I do. By this, my system doesn't have strange things happening, and I don't constantly in search for solution to problems. adif: No-one should *ever* allow Microsoft to run automatic Windows Updates. No-one. Note: this is by no means the only reference resource out there. As to today's offering, my own experience of this kind of software is that it can cause unnecessary headaches where older computers are concerned. Context is all, and where some happily-running computers are concerned, the latest isn't axiomatically the best for that machine, or that user. adif: No-one should <b>*ever*</b> allow Microsoft to run automatic Windows Updates. No-one. Microsoft counted on user gullibility so as to get Windows 10 installed on millions of computers whether the computer owners wanted the Operating System or not . . . and then having suckered 'em into accepting it, made it as difficult as possible for the user to reassert control of the machine she or he had bought with their own money by deliberately obstructing their ability to turn off automatic Windows 10 updates thereafter. (For those who would like to control Windows 10 rather than having Windows 10 control them, see note below.) Windows Updates for computers other than those on Windows 10 should always but always be set to <i><b>Check for updates but let me choose whether to download and install them.</i></b> As to what to choose, simply copy the KB code number(s) that you see in the Updates list and copy 'em into any search engine. A host of reference resources exist out there on the 'Net which will tell you if a KBxxxxxxxxxx update you're being offered is fit for purpose (and if it's actually a genuine update rather than an advertising promotion in disguise, seeing as how after the snake-oil selling of Windows 10, Microsoft has lost the trust of countless computer users worldwide.) 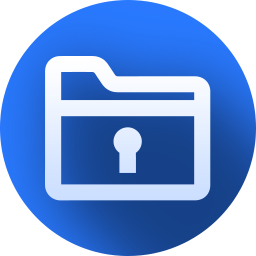 One such resource is: https://www.askwoody.com where the site's users flag up the latest updates and each KB is tested before you have to deal with it. This same resource also offers Update control guidance here: https://www.askwoody.com/automatic-updates Note: this is by no means the only reference resource out there. As to today's offering, my own experience of this kind of software is that it can cause unnecessary headaches where older computers are concerned. Context is all, and where some happily-running computers are concerned, the latest isn't axiomatically the best for that machine, or that user. The free portable version of this program is adequate enough and as it updates at least a couple of times a month, this paid version is going to have a very short lifetime on your computer. Also works on my Windows 10 computer and laptop, which is not listed in the system requirements above. The free portable version of this program is adequate enough and as it updates at least a couple of times a month, this paid version is going to have a very short lifetime on your computer. Also works on my Windows 10 computer and laptop, which is not listed in the system requirements above. This is medical advice available in Internet. Since an individual may use a substance (replace drivers) inappropriately, there are dangers associated with self-medicating (automatic driver updating). The National Institutes of Health (common sense) explains that individuals are not always responsible with the way they self-medicate (replace drivers unnecessarily) and they do not have the training to identify the underlying cause of their symptoms. Depending on the situation, the risks associated with a medication (driver updating) can vary; however, there are some risks that are common to many individuals. In the worst-case scenario, self-medicating (indiscriminately replacing drivers) can lead to severe health (malfunction) conditions or even (the computer) death. This is medical advice available in Internet. Dangers of Self-Medicating (indiscriminately updating or changing device drivers) Since an individual may <strike>use a substance</strike> (replace drivers) inappropriately, there are dangers associated with <strike>self-medicating</strike> (automatic driver updating). The <strike>National Institutes of Health</strike> (common sense) explains that individuals are not always responsible with the way they <strike>self-medicate</strike> (replace drivers unnecessarily) and they do not have the training to identify the underlying cause of their symptoms. Depending on the situation, the risks associated with <strike>a medication</strike> (driver updating) can vary; however, there are some risks that are common to many individuals. The risks that are associated with <strike>self-medication</strike> (automatic driver replacements) include: Inaccurate diagnosis Using inappropriate <strike>medications</strike> (driver updating) that cause side effects Masking the symptoms of a serious condition Delaying <strike>medical</strike> (technical) advice Inaccurate <strike>dosage</strike> (software replacements) that leads to accidental <strike>overdose</strike> (hangouts) Mixing <strike>medications</strike> (drivers) that are not safe to mix, which may result in <strike>legal</strike> (unnecessary) costs or <strike>health</strike> (malfunctions) concerns Risk of abuse Risk of developing <strike>an</strike> (driver replacement) addiction or several addictions In the worst-case scenario, <strike>self-medicating</strike> (indiscriminately replacing drivers) can lead to severe <strike>health</strike> (malfunction) conditions or even (the computer) death. I will pass as I don't want the latest versions of a lot of the programs I have as they seem to get more bloated over time and so I get a lot of my programs from here.